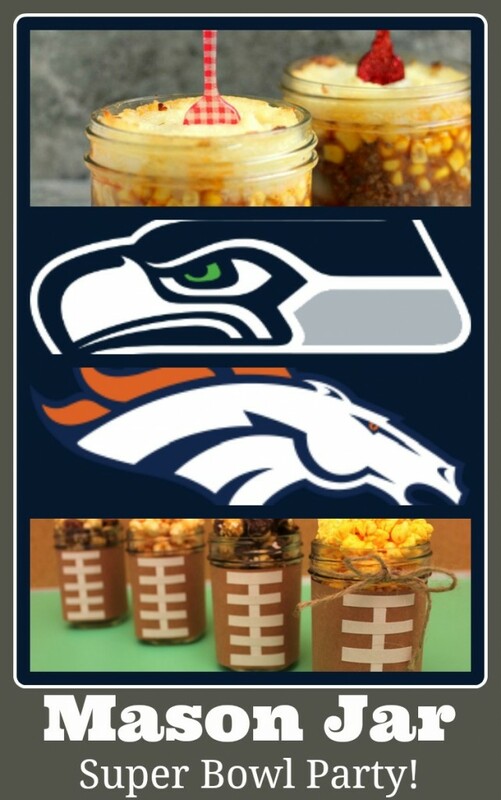 You are here: Home / Mason Jar Crafts - Celebrations / Super Bowl Party Ideas – in Mason Jars! 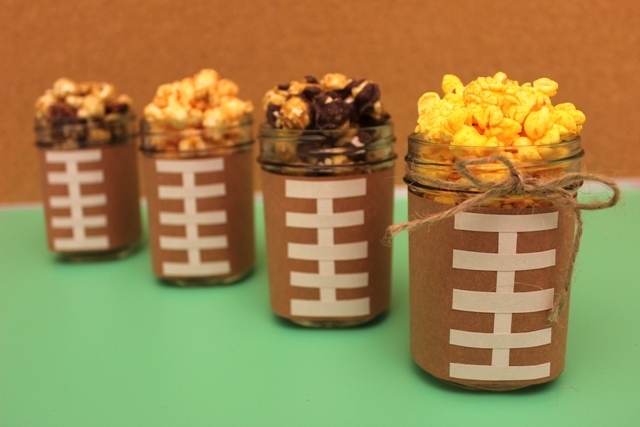 Super Bowl Party Ideas – in Mason Jars! The Super Bowl is Sunday, February 2nd this year. If you’re planning a party to watch the game, I know you’re tearing Pinterest up right now looking for cool ideas to make yours the Super Bowl party to remember. 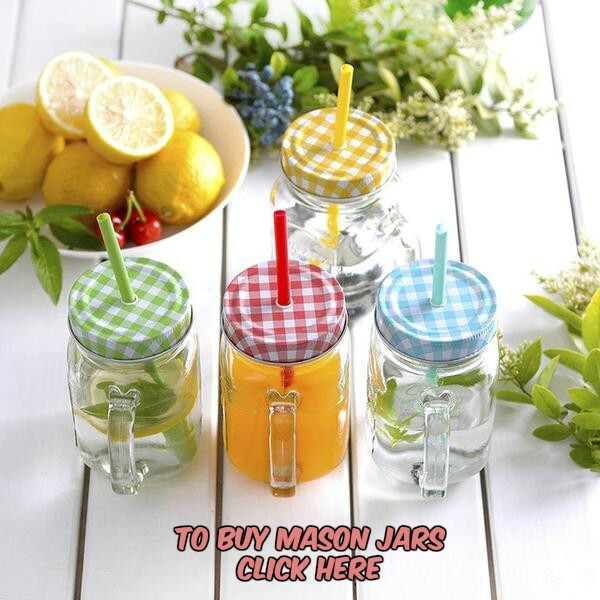 And if you’re a Mason Jar lover, I know you’re not going to feel quite yourself unless you incorporate them somehow. Right? So, my darlings, here are some really fun things you can do with your “jar babies” on the biggest football game of the year. You’ll look like a party-throwing rock star! How simple is this popcorn in a jar situation? I’m thinking paper, Washi tape and twine. The Popcorn Factory blog. This is a simple way to serve, isn’t it? 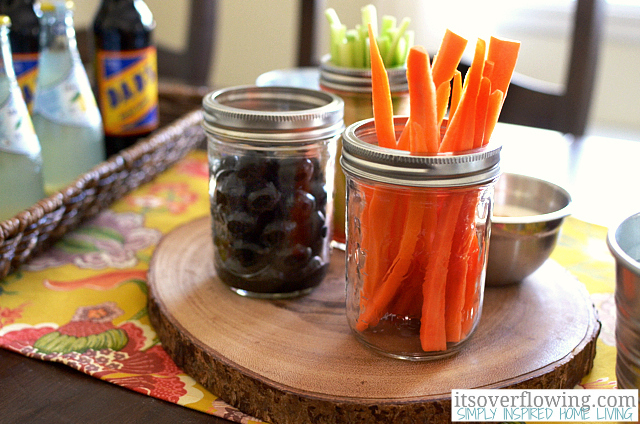 From It’s Overflowing, I think you could fill your jars with all sorts of Crudités. 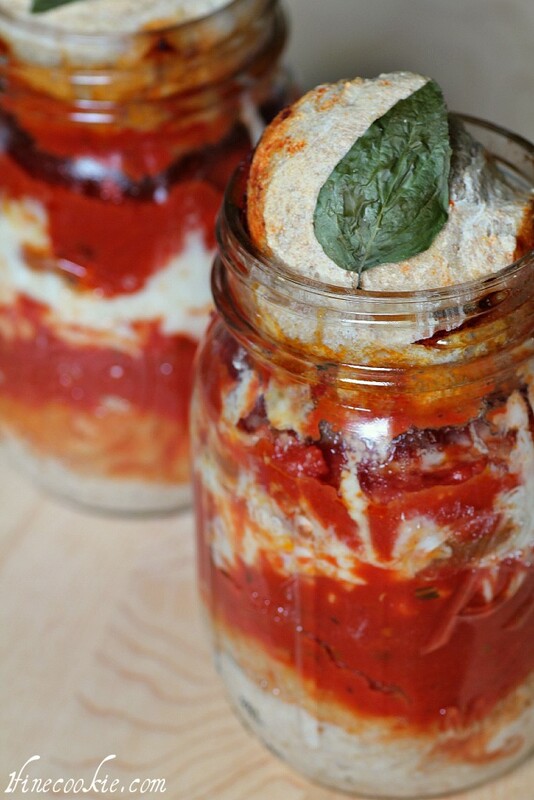 Pizza in a jar! Let me say that again because I don’t think you heard me. PIZZA. IN. A JAR. From the brilliant mind behind 1FineCookie comes the food that you’re going to want to bring out at half-time because we are NOT having this upstaged by some football throwing boys. And let me just say… I’m glad I live in a world where humans come up with things like Pizza in a Jar. 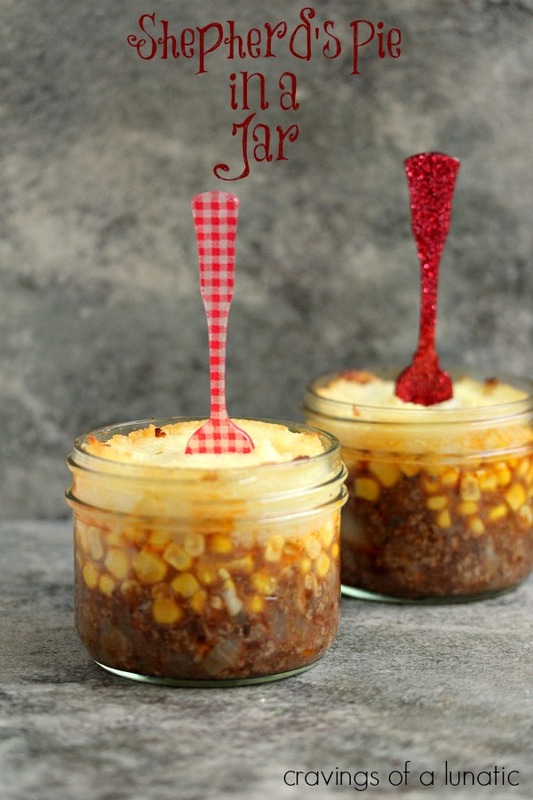 PS: Here are some other Mason Jar noms that you’re going to want to consider for your party. Trust me.